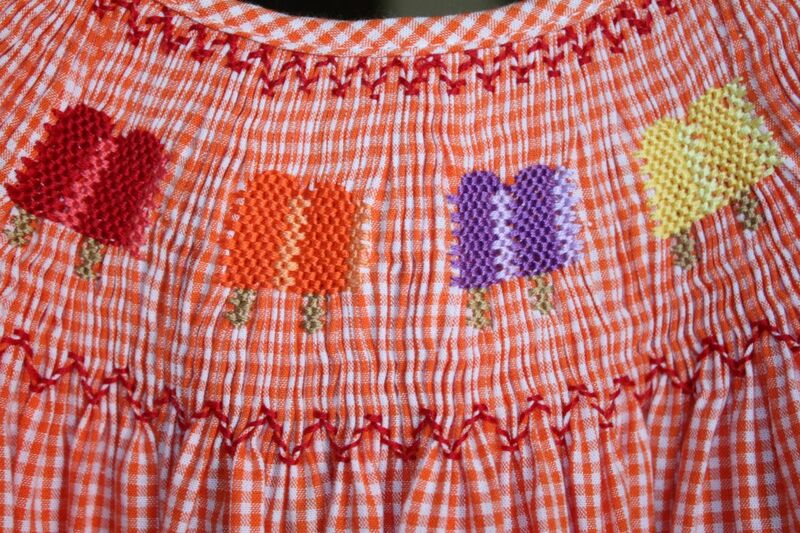 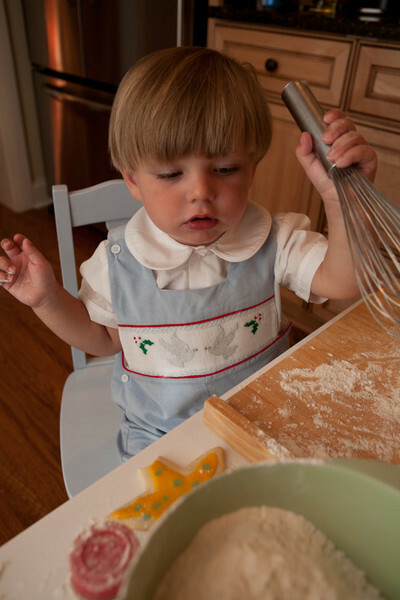 Classic Popsicles bishop gown is 100 % orange gingham cotton with beautifully hand smocked popsicles in red, orange, purple and yellow. 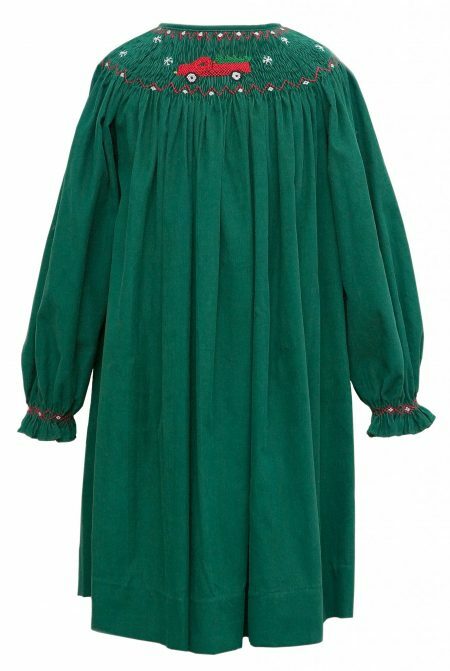 The collar is bordered in red smocking and the sleeves are finished off with red ric rac. 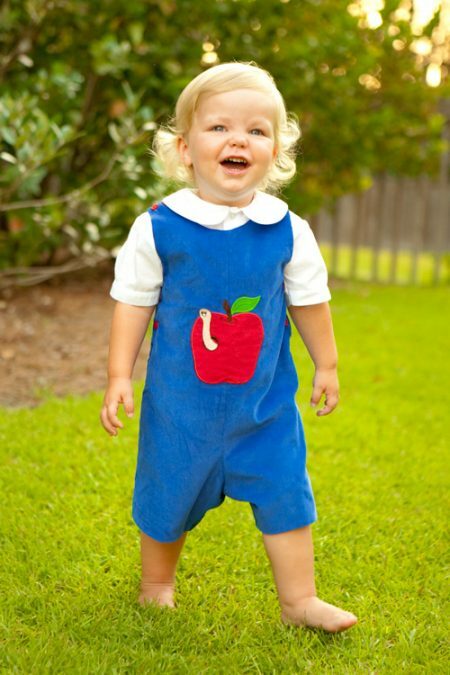 A classic dress to add to your heirloom collection.